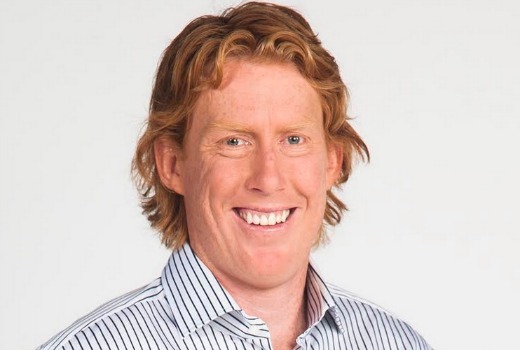 Former AFL player Cameron Ling will host a new locally-produced travel series, Melbourne Weekender, for Seven. Ling will continue his AFL commentary for Seven whilst fronting the new series showcasing Victoria, from secret city laneways to day trips in the Victorian countryside. “Within an hour’s drive we can travel from a vibrant city to the solitude of the bush,” he said. Earlier this year Seven axed its long-running Victorian travel series Coxy’s Big Break, produced by WTFN. Melbourne Weekender will join with other Seven-produced lifestyle shows interstate: Sydney Weekender, Queensland Weekender and WA Weekender. Wasn’t there a Melbourne Weekender that aired maybe 10 years ago? Let me guess: Sundays at 530pm. Same time as 9’s long running Postcards. @middledog.. You mustn’t have left the house very often. Melbourne is awesome with tons of things to do. drink, shop, footy. There, I’ve done the program list for you. Like the other Weekender editions, and frankly as the post indicates, it is about the state not the city. I think we can move on. I’m living in Sydney now and the Sydney version is just as bad, nothing seems to get on unless its paid content. Quite often they encourage you to catch a plane for a destination a couple of hours away (Norfolk Island?? I know its still in NSW) btw I usually seem to be watching it every week and laughing at those skinny girls pretending to eat. Obviously this is all about saving a few dollars by keeping it in-house. Has anyone seen that other travel show hosted by another former footballer, Spida Everett and his wife? Maybe Seven could use that as a template for this new show!!! Yes I have filed on this before, some years ago. Well he can tell people about some bars and restaurants to go to if staying in Geelong.He should know them well considering he seems to have a hand in a heap of them. I’ve lived in Melbourne. The first two episodes will use up all the attractions. What will they talk about in episode 3? How to get to the airport? Well at least its not Hamish. Here’s another hilarious article in light of today’s other posts. Just what the Aussie TV needs – another AFL footballer turned television presenter hosting a travel show about Melbourne’s exciting laneways etc. The males execs around the table would sign off on that.